Casey Wilson has the Wildcats in the Southland Conference tournament in their first year of NCAA Division I postseason eligibility. Other than that name, there would appear to be few similarities between Casey Wilson (’99), head coach of the Abilene Christian University soccer team, and Ernest Thayer’s fictional and forlorn slugger. In Wilson you will find no arrogance nor bravado or a man likely to let good opportunities go by without taking a swing. He does have a Mudville in his past, which we’ll get to later. He is the only coach this program has ever known. And how he arrived at his post is probably befitting of a sport that generally demands a series of moves, one setting up the next and often not necessarily toward the goal. Wilson was a three-sport star at his high school in Anaheim Hills, California, playing baseball, football and soccer. After two seasons as an All-America placekicker and outfielder in junior college, he moved on to Central Michigan University where he led the Mid-American Conference and set a school record in extra points. With his football eligibility expiring, Wilson began looking for a place to finish his collegiate career playing baseball. A family friend had attended ACU and recommended he talk to the Wildcats’ head coach, Britt Bonneau. In just his second year at the helm, Bonneau liked what he saw from Wilson’s junior college days so he offered him a spot in a lineup loaded with Caseys. Christina Arteaga (7) is the second-leading scorer for the Wildcats. The player-to-be-named-later spent two seasons as an outfielder and designated hitter, batting .300 in 1998 and making an impression on his head coach with qualities that would come to define his own coaching style. 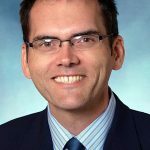 Wilson graduated from ACU in 1999 then went back home to California and for the next five years got a master’s degree in business and worked with his parents running juice and smoothie shops. If you’re thinking his resume doesn’t sound very “soccery” so far, hang on. 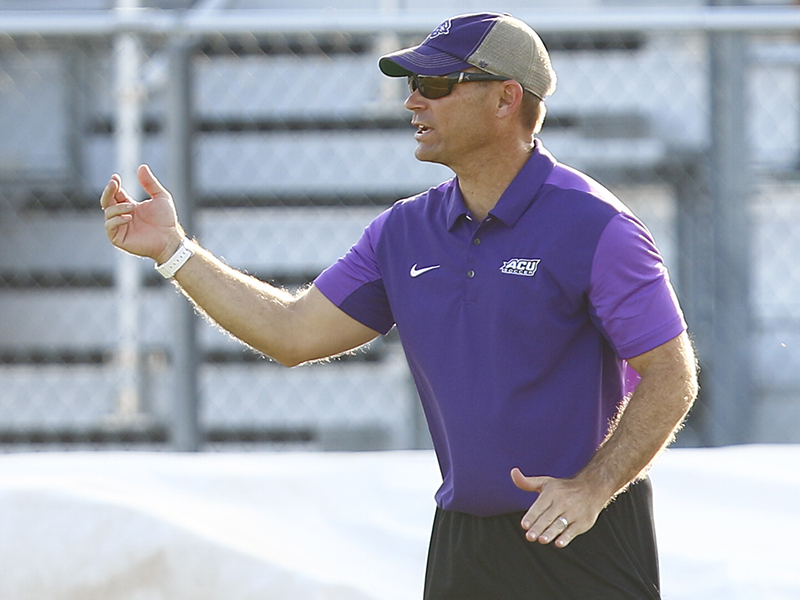 He came back to ACU in 2004 to be a volunteer softball assistant and to help with special teams under head football coach Gary Gaines. 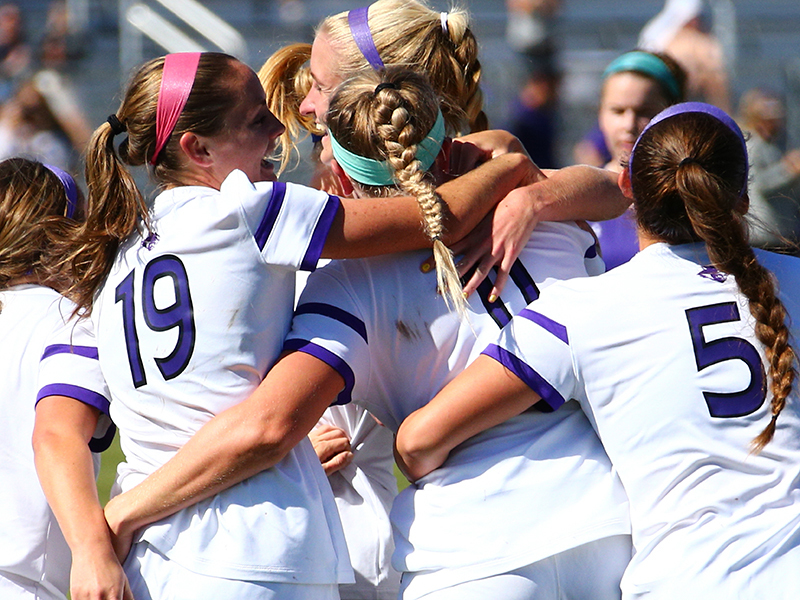 About that time, ACU was kicking around the idea of starting a women’s soccer program. Wilson’s high school coach, Ali Khosroshahin, encouraged him to interview. He got the job. Chloe Fifer (19), Dylan Owens (11) and Caity Acosta (5) celebrate during a 2-0 late-season win over Stephen F. Austin on Oct. 22. The Wildcats’ first official season was 2007, the same year Khosroshahin led the University of Southern California women’s team to the NCAA title. With only three scholarships and zero experience as a soccer coach, Wilson nonetheless led ACU to wins in its first game ever, as well as its first conference game and a more than respectable overall record of 8-11-1 in that inaugural season. It didn’t take long. In fact, ACU increased its season win total in each of the next four years, winning the Lone Star Conference title in 2010 and advancing to the NCAA tournament the following year. That 2011 season was magical. Led by Andrea Carpenter’s 16 goals, the Wildcats won 20 games, went unbeaten in conference play and took down both archrival Midwestern State and Dallas Baptist to reach the national quarterfinals. At a neutral site in Southern California, ACU took on Chico State. 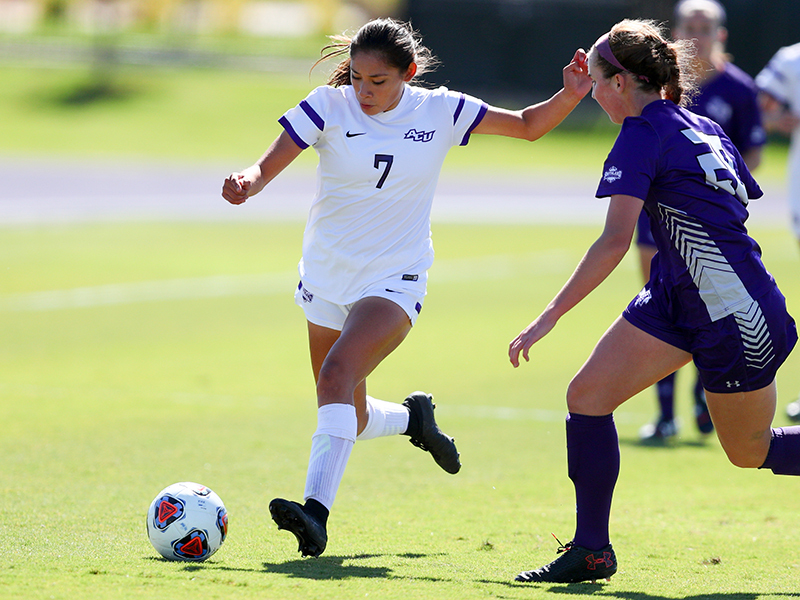 In a game played through several inches of slop from heavy rains – “The ball would either float on top of the water,” Wilson remembers with no joy, “or get stuck in the mud” – ACU fell, 1-0, to finish three wins shy of a national championship. Moving up a division in collegiate athletics can be as difficult as starting a program from scratch. Wilson has made both look easier than they are. In all five seasons at the Division I level, the Wildcats have had a winning record in conference play (33-18-5 combined). In fact they would have qualified for the Southland tournament in each of the four seasons of the transition had they been eligible. In this his 11th season, Wilson is now 118-81-17, and his teams have won two-thirds of their conference games. As good as they’ve been on the pitch, they’ve been even better – in fact, the best – in the classroom. Last year, of the 333 Division I women’s soccer programs, none had a higher team GPA (3.76) than ACU. In an increasingly distracted world that seems to favor the loudmouth, Wilson keeps quiet. And when he does speak, the conversation is rarely self-centered. Ask about his strengths? He’ll speak of the strengths of those around him. This year, his team made it as far as the semifinals of the Southland Conference tournament in its first appearance. After upsetting No. 3 seed McNeese State in a penalty kick shootout in the opening round, the Wildcats lost a shootout in the next match Friday to No. 2 seed Stephen F. Austin. A solid start to a new era, just as it was when Wilson began the program a decade ago. The Wildcats keep swinging for the fences, led by Mighty Casey: ACU’s home run hire.